There really is no better way of shopping in London than sampling a few of its many markets. From sprawling outdoor markets that will take you the whole day to wander around to the smaller covered in ones; each one offers you something a little bit different. Food, flowers, bric-a-brac, vintage goods and chocolate covered bananas – London’s Markets really do have it all. Here are 5 of my favourites! 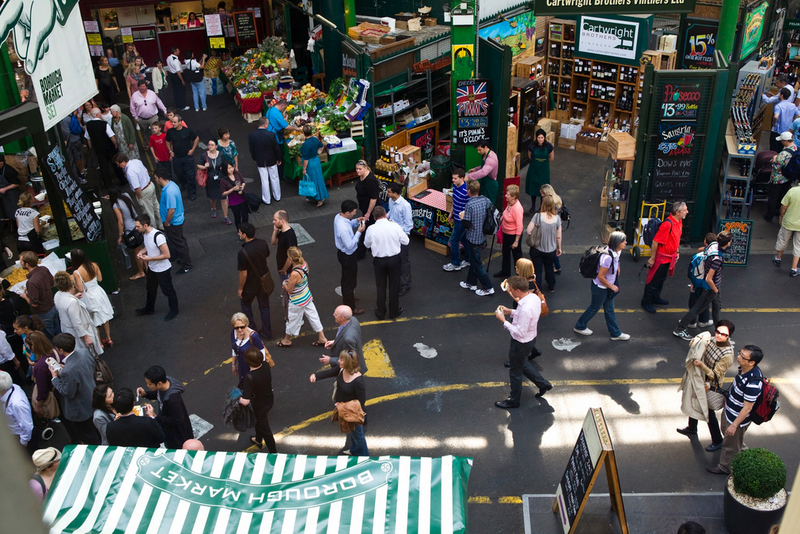 Every Thursday, Friday and Saturday London’s oldest fruit and vegetable market comes alive with over 100 stalls supplying London locals and tourists with the freshest produce, meats, dairy and baked goods. As well as take home goods, you can feast on a meal from one of the many street food vendors. It can be super busy so make sure to get there early if you want to avoid the crowds. You’ll need to come with an empty stomach, some goods can be expensive there are lots of free samples to try as you make your way around! Every Sunday Columbia Road transforms into a blossoming world of flora and fauna. 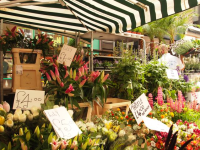 There are stalls selling flowers, plants, shrubs, bulbs and bouquets of every variety. Let the smells and colours inspire your inner green fingers and pick up everything else needed to make your garden grow from the shops that line the street. Listen out for the cheeky banter of the traders as they compete to sell you their products. If you come late in the day you can get some great deals when the stalls are closing up. I’m a little bit bias towards this one as I am a Greenwich resident but I love heading to the market here on my days off. The market is open six days a week with the stalls varying slightly depending on which day. It’s relatively small as far as markets go but you can find everything here from antiques and collectables, toys, clothes and jewellery. I’ve got a bit of a soft spot for the Bananaman stall – chocolate covered fruit on sticks – YUM! This area has a rich history of markets and was once the location of London’s most popular car boot sales. 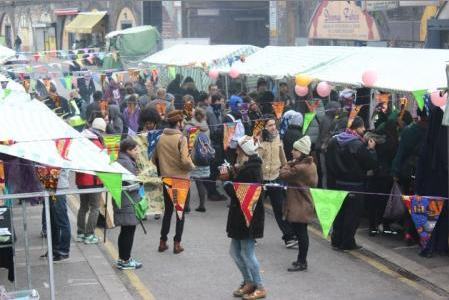 The cars have now gone but on the first Saturday of every month Brixton plays host to the Flea and Bakers’ Market. 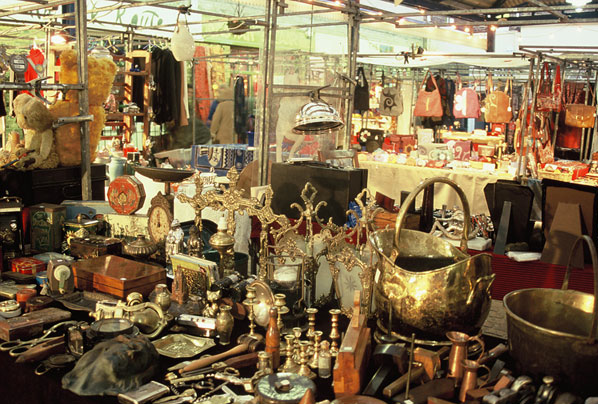 Here you’ll find quality second hand clothing, jewellery and bric-a-brac as well as all the baked goods you can imagine. Grab a delicious cake or cookie and browse for some bargains! 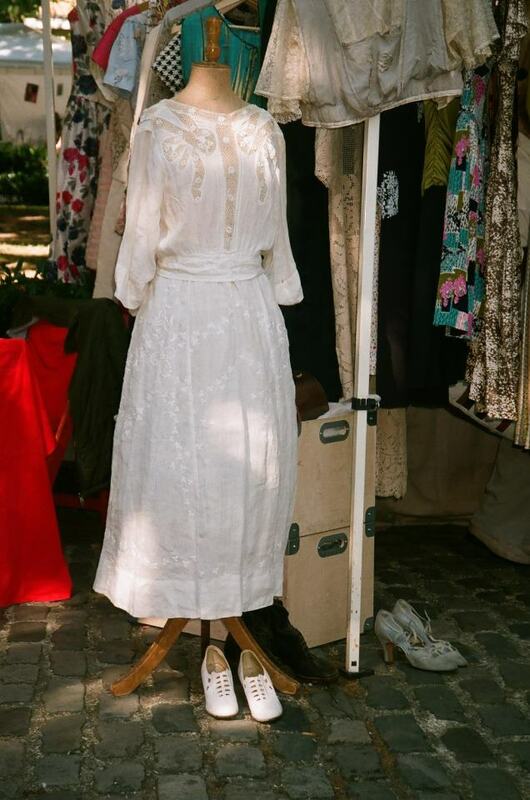 Head to the grounds of the St Marylebone Parish Church is designer clothing and vintage goods is more your thing. Established by the organisers of the London Fashion Designer Sales, stalls include retro and vintage clothing, new designers and food to make your mouth water. The market is only open on Saturdays and you might even be fortunate enough to pick up some genuine designer gear for a fraction of the price! So these were my favourites – be sure to check out other goodies such as Portobello Road, Brick Lane and Camden Town. Go along with empty stomachs, pennies in your pocket and be sure to pick up some bargains! You may also want to have a look at Kelly’s Tips for Shopping at the Supermarket.